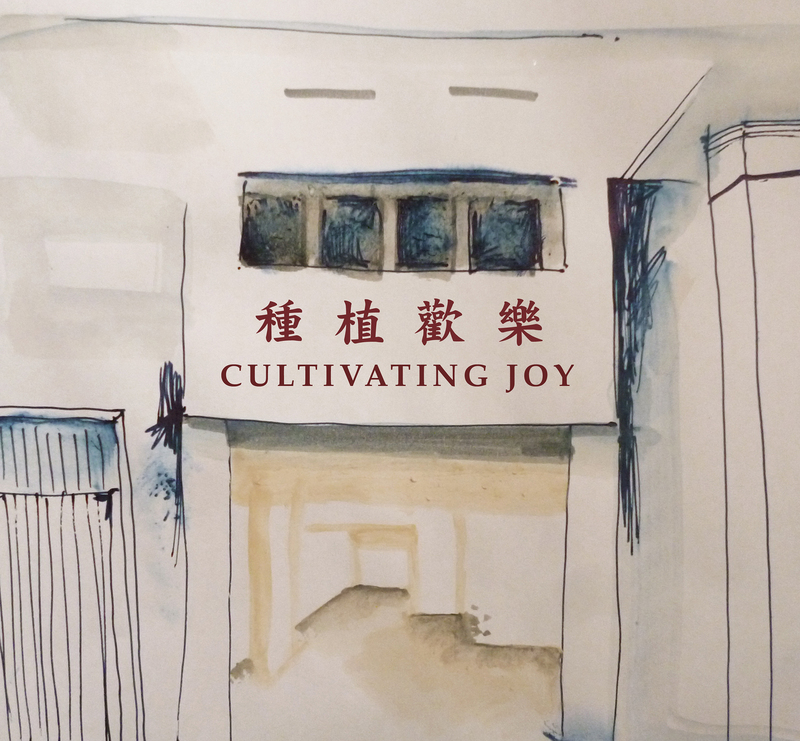 Triggered by the despondency felt after the 2014 Umbrella Movement (pro-democracy protests) in Hong Kong, Things that can happen commissioned my art wellness laboratory (for the entire month of December 2016) in order to affirm that often the most effective engagement stems from a joyous ground of being. In turn, I then invited Jennifer Van de Pol to collaborate with me for the month-long research-creation residency project. Inhabiting a joyous self is an act of resilience, and “creating a movement that has its basis in joy is a truly decolonial practice” (Odile Joannette, from the Innu community of Pessamit, Director of Partnerships and Communication for the Assembly of First Nations (AFNQL) Human Resources Development Commission in conversation with me, November 2016). The material included here emerged from a dialogue process during which Jennifer and I would each select a word, phrase or question as a prompt for the other as a way to invite a focus on specific aspects of joy and its cultivation. In total, through the month of December 2016, we accumulated the following 44 prompts, 10 of which (highlighted in bold) that we chose to feature in an artist book, designed by Beatrix Pang of Small Tune Press. What sensations, images and memories come to mind when you consider STANDING IN JOY? How would you make this visible as art? What sensations, images and memories come to mind when you consider COUNTERING NON-JOY? How would you make this visible as art? What sensations, images and memories come to mind when you consider QUEERING JOY? How would you make this visible as art? What sensations, images and memories come to mind when you consider JOY IN DANGEROUS TIMES? How would you make this visible as art? This first prompt had me asking myself: “Exactly what is it that allows me to prepare the ground for cultivating joy?” Contemplating this question over several days, I came to realize that if I am now ready and able to recognize just how radical the cultivation of joy is (for me personally and for others) and to engage in this practice it is because I had the good fortune to meet my first and beloved Chinese Traditional Medicine practitioner, (the late) Bernard Côté, nearly 30 years ago. After having been paralyzed from the waist down, sent home from the hospital in a wheelchair and told that I was never going to walk again, my family physician at the time suggested I try acupuncture. This advice came just after I threw the anti-depressants he had prescribed, and which I had been taking for several months, in his face and demanded that he find me an alternative. During the very first acupuncture treatment, I was freaked out by the sensation of all the fluids in my body moving as if a dam had burst. Within the first few treatments after that, I was able to begin feel my lower limbs and soon thereafter began to move my legs. More sessions with Bernard, and many physiotherapy appointments and exercises later, I had recovered full use of my entire body. Along the way both Bernard and the Mézières Method physiotherapist with whom I worked, diagnosed the need for me to learn how to breathe, as if for the first time. Bernard went so far as to invite me to a yearlong Qi Gong training with a Chinese master who was living in Montreal at the time. Indeed, the breath work was life altering. Now, nearly three decades later, having continued to explore the benefits of acupuncture and Qi Gong, my current psychotherapist has been emphasizing the importance of exhaling as a way to reduce the level of stress hormones circulating in the body. All of this came back to me in a flash while standing in a very crowded and loud Hong Kong shopping mall. I had a sudden insight into the power of breath and wondered what would it be like to share this with strangers and people I was getting to know through the Things that can happen research residency. 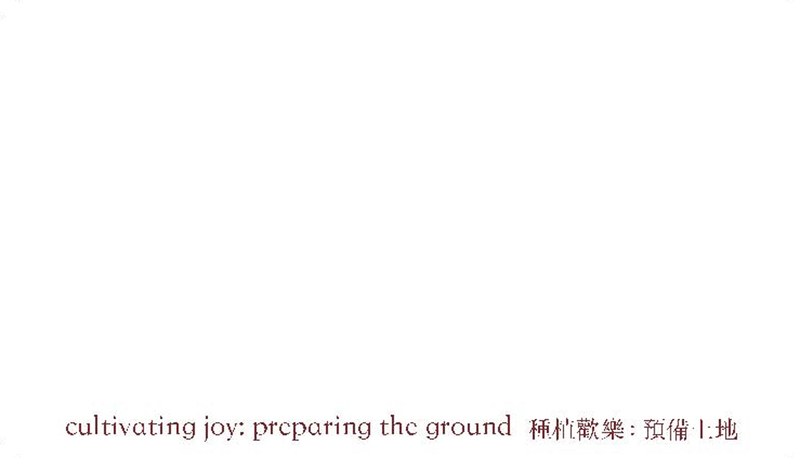 With the help of Oscar Yik Long Chan and Mary Lee, I was able to create a business card with only the Chinese characters for exhale on the front and “Cultivating Joy: Preparing the Ground” (in English and Chinese) on the back, which I then passed out in various locations all through the month of December 2016. I handed them to strangers I met in the MTR and grocery stores, on the street, in movie houses and buses. And I offered the cards to people who joined the dialogue circles, which Jen and I convened at Things that can happen. What I love about this gesture is how visceral the response was: people literally took a moment (whether consciously or not) to exhale fully with their entire being, thus experiencing the many health benefits of deep breathing and joy, if only for a moment. When I first received this prompt, I noticed an immediate physical and mental recoiling: I thought that since I had finally managed to switch my approach to art-making from counteracting trauma and sorrow to affirming recovery and wellness—as exemplified in the title of the month-long residency, Cultivating Joy as Radical Practice —I didn’t want to be put into a position where I would have to go back to considering the performativity of negation. My journal entry for Wednesday, December 7th reads in part: “I say ‘oh’ feeling constriction because of not wanting to start from a place of reactivity or opposition.” Jen’s response was to remind me how often I had asked, “How do we counter this? !” over the course of the previous day, as we walked around Hong Kong passing through one shopping mall after another. I couldn't argue of course, since I did in fact find myself feeling overwhelmed by so much consumerism and wondered whatever could be done to create space enough for joy within such a ubiquitous materialism. Countering non-joy requires long-term thinking and planning in order to offset the burnout patterns, even within progressive social movements. Simply trying to be whole, you feel anxiety; you don’t feel safe to pursue wellness. It’s quite brave: we should all have that capacity to feel joyful! This is not for the individual only: it has the potential to effect change in wider circles. It’s brave to seek out joy and attempt to share this with others. Continuing to sit with this prompt, I found that in order to see outside of myself enough to find a response, I had to go further inward. I asked myself: “When I’m not available to joy, what do I need in that moment?” It occurred to me that joy is eclipsed when I’m re-experiencing the trauma of my childhood and what I then need most is understanding, recognition, acceptance and compassion. On Thursday, December 8th I woke with a gentle mental nudge bringing my attention to the prompt once again: “What does it take for me to overcome the “non-joy”, to access my higher Self, to recognize the pain of the still wounded selves? I remembered reading about Master’s Nan’s teaching: “There is only one issue, that of mind matter integration.” I thought about the Eye Movement Desensitization and Reprocessing (EMDR) psychotherapy treatment that I have been undergoing for more than a year, which is intended to help facilitate the accessing and processing of traumatic memories in order to bring these to an adaptive resolution and lessened reactivity in the present. The bilateral brain stimulation that is activated by alternating left and right aural tones and lights during the EMDR sessions supports an integration (not fusion) during which I can simultaneously feel and observe my wounded selves. Still inhabited by this prompt, I walked the streets of Kowloon and found myself overwhelmed by what seems like sheer excess and the impossibility of late market capitalism. Another disturbed night followed and upon waking the next day, I thought about the empty storefront below the gallery and how valuable that empty space was as a metaphor for making space for joy. And I thought about what might grow in that damp, mouldy, darkness. 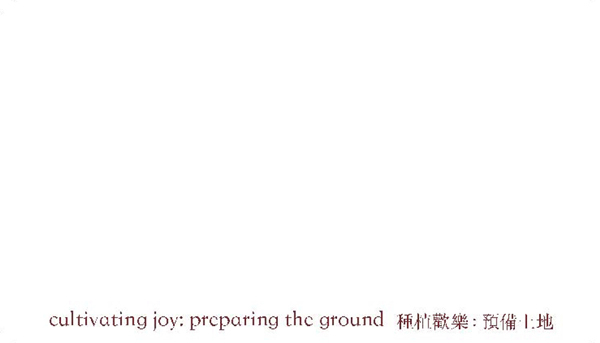 This brought me to thinking about mushrooms, which in the end became key to the “Countering non-joy” prompt response. I began researching mushrooms and quickly came across a 2010 article in China Daily written by Emma Dai titled, “Mushroom as Pollution Mask” that detailed the Hong Kong-based research led by Professor Siu-Wai Chui, “the first in the world to look into mushrooms’ potential in treating air pollution”. 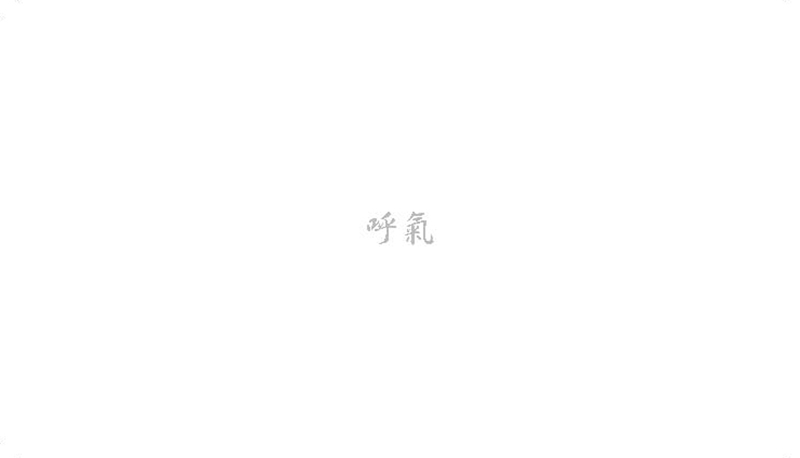 I've been working on mushrooms for more than 10 years," said Chiu. "Previous discoveries using them to curb soil and water pollution inspired me." After testing several kinds of mushrooms, the team concluded the enzyme produced by pleurotus, a popular fungus was the most efficient air cleaner. Lab experiments saw even more astonishing results. The mushroom's efficiency in degrading pollutants in mid-polluted environment can reach the 90 percent level (China Daily, Hong Kong Edition). The insight was as sudden as it was immediate: mushroom pollution remediation was the perfect metaphor for countering non-joy! Over the next days, I continued to research Dr. Chui’s work and even began to seek her out thinking that I wanted to meet her and hear more about her research. To my delight, I received an email response from Dr. Chui. We agreed to meet. She suggested that I meet her at the Cheung Sha Wan MTR station without explaining why. 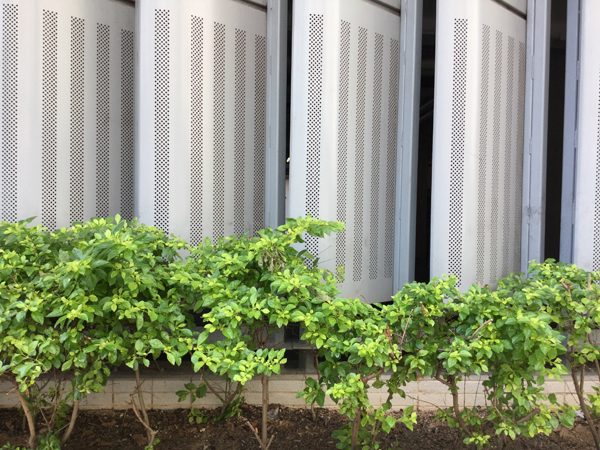 As it turns out, not far from this station is a massive housing complex that was designed, engineered and built with multiple metal structures containing mushroom substrate at the ground level, which are entirely camouflaged so that tenants and passersby are unaware of the pollution mitigation work that the substrate is doing 24/7 for the wellbeing of the neighbourhood. Airborne samples are taken bi-weekly to ensure that the entire installation continues to function at peak capacity. Toxicity (whether environmental or psychological) has to be first acknowledged, absorbed and transformed before wellness—and by extension, joy—is possible. Jen demonstrated “Eagle Pose” as she shared this prompt with me on December 13th and described a yoga session during which she found herself capable of moving beyond the strain and effort of this rather challenging asana to experience a moment of ease. I wrote in my journal: “The quality of focus necessary for this pose, the way the mind and body need to align to find inner peace and calm despite the effort in order to stay, to do, to be...” Though familiar with Garudasana from my many years of yoga practice, I somehow knew that my response to this prompt was not going to be a literal re-enactment of this position but rather be inspired by it. I began noticing black kites, widely known as “eagles” in Hong Kong, soaring in the air above the skyscrapers. And I began to be more attentive to the balance between effort and ease in my daily movements. Traveling back to the gallery from a daylong outing in the New Territories, I found myself walking along a very narrow alleyway between two immense skyscrapers. 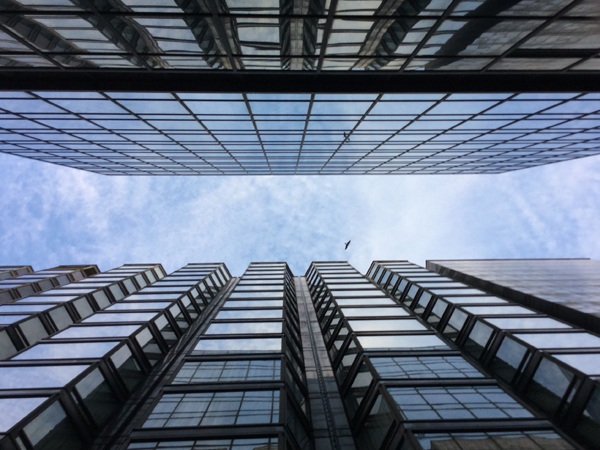 As I had already begun the practice of looking up, I stood as still as I could and gazed at the blue sliver of sky visible in the space between the two extremely tall buildings. I took out my iPod, set the camera to video, lifted it overhead while holding it with both hands—arms raised—and pressed play. It was immediately obvious that this was my “finding repose in the pose” moment. Could I stand there holding steady and relax into and beyond the physical exertion? I tracked the physical sensations, the thoughts and emotions arising in my consciousness. Time stood still. Then came a moment when there was only wide-open space: effortlessness. At that moment I turned off the video, which was recording the empty sky all this time. Not a split second later, while my eyes and arms were still extended upward, with the iPod still aimed at the space between the buildings, a Hong Kong “eagle” flew into view. Garudasana. Joy. On Monday, December 19th Jen’s prompt “Here” brought me to be more mindful throughout my day of moment-to-moment shifts in awareness about location and the states of mind that comport with experiencing presence. This mindfulness continued over the next days and on Sunday, December 25th it found expression while rowing in the now decommissioned Wong Nai Chung water reservoir. Beatrix Pang had invited me to go rowing with her and an architect friend of hers. Little did I know beforehand that the one available rowboat was quite old and the oarlock—which attaches the oar to the boat—was barely functional. We split up since the rowboat could only accommodate two people. Beatrix went off in a paddleboat while her friend Tom and I made our way to the rowboat where I intuitively installed myself in the rowing seat. It didn’t take long to find out that, unlike me who had rowed on many occasions in the past, Tom had never rowed before. He was nevertheless eager to try so I relinquished the oars and switched places with him. What then unfolded was an amusing, though very frenzied and rather frenetic, effort by Tom to get us out of the Mangrove roots he had managed to get us entangled in. We went around in circles for quite some time; every time he managed to steer us away from the lands edge the wind forced us back. I don’t recall whether Tom asked me to take over for him or I offered: we switched places again and with great effort to counter the effects of the wind and overcome the ineffective boat mechanics (with oarlocks that did little to act as the fulcrum they were intended to be), I managed to get us out of the reservoir bay where we had been stuck for the better part of our one-hour time allotment. We were both laughing at the effort required and the unexpected exertion needed to navigate what looked like an idyllic and rather benign body of water. So after much effort, much laughter, and much talking, we settled into silence as we both rested and began to catch our breath. I let the boat drift and followed the boat’s movement with my eyes and entire being as the stillness brought with it attentiveness and a growing awareness of a magnificent bird perched on a branch at the edge of the water. We continued to drift towards the shore and the bird in total silence. Tom and I were wholly present in the moment. This was now; we were both fully and joyfully here, at one with the boat, the water and the bird. With my senses increasingly open and aware throughout the month-long research-creation inquiry I had become quite observant of the wide range of smells that I encountered on a regular basis while in Hong Kong: the aromas of coffee and perfume, the bouquet of flowers in bloom, the occasional stink of people’s body odour and bird feces, and the pungent scent of garbage accumulating on the street. So when Jen prompted me with “You can smell it before you can see it” I was curious about how to make these olfactory experiences evident as art. 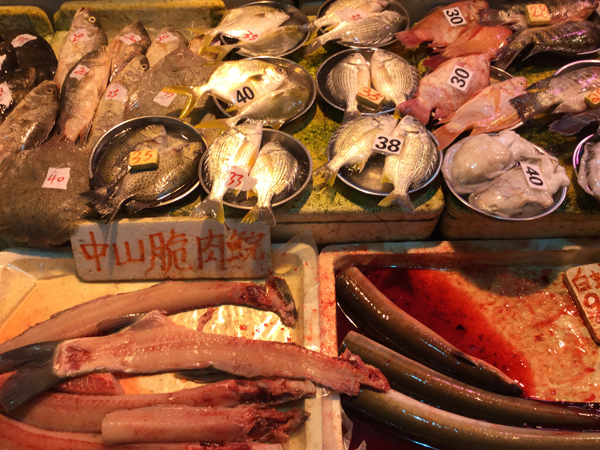 Walking by a fish market, I compelled myself to go in, despite the overwhelming stench of dead raw fish. I told myself that this was good practice to enhance my capacity for equanimity: to remain consistent in awareness of the ground of joy, even in such unpleasant (at least to me) circumstances. As I began to photograph the array of fish splayed out in the different stalls, I found myself captivated by their bodies, by the imaginings of their beauty while still alive and swimming, by the vision of the fishers who caught these beings, and the people who would imminently purchase them and eventually take sustenance from them. The interconnectedness of everything became increasingly manifest, so much so that the smell that had so repulsed me had been transformed (and not just because of what is commonly known as olfactory fatigue, which is the temporary human adaptation mechanism that suspends the normal ability to distinguish a particular odour after prolonged exposure). My revulsion diminished because I could no longer separate the ground of joy from the life cycle of the fish. Later, after I spoke with Jen about my experience and showed her some of the photos that I had taken in the fish market, she pointed out that I could have oriented my prompt response towards pleasant fragrances, which would have been equally apparent to my sense of smell before my eyes detected the visual source. While this is of course accurate, I am not all sure that I would have learned as much and had as significant an insight into the unwavering availability of joy had I gone in that direction rather than the one that led me to the fish.